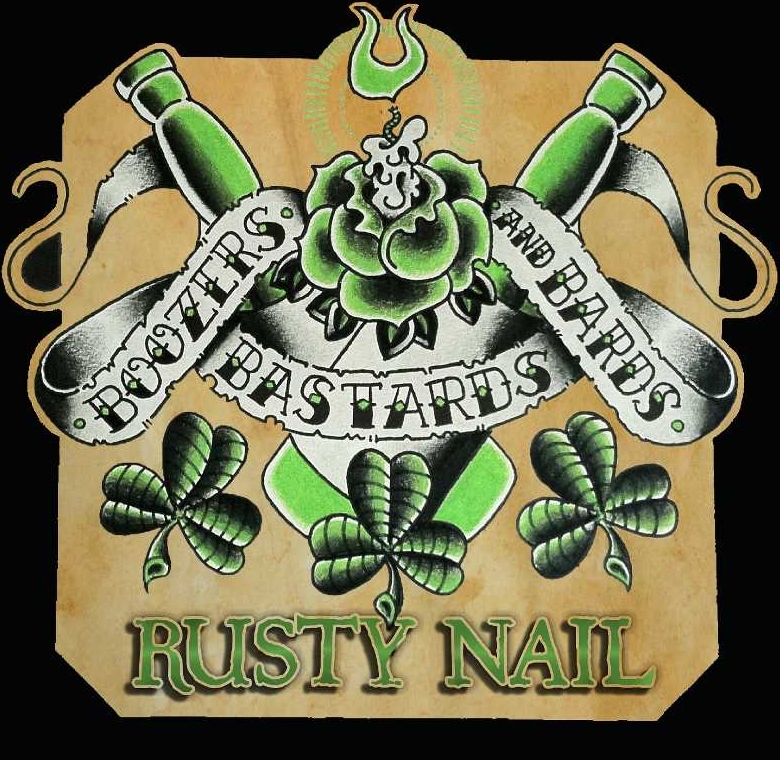 I popped this CD into the car stereo while on vacation, and immediately noticed the Irish influences of Rusty Nail, but it had an unusually punk vibe to it, which intrigued me more. This 7-piece band from St. Louis, Missouri tells stories through fun songs that are frequently about drinking, drunks and bars. There seem to be several traditional Irish songs, and a handful of original songs. All of the members of the band are great musicians. Unfortunately when we left the car, my family’s new puppy chomped the corner of the album cover, so I do not have the first half of the song names, but I do have the track numbers (this time the dog actually ate it). Overall this is a light-hearted record that fuses Irish music, rock and punk together for a unique sound, best paired with a frosty pint in good company. Track 1 is “Damned Voilent Things”. I’m glad the the puppy like the cd too.